Following on from how much we enjoyed putting out the recent Fear of Men release, we have decided to make the flexizine (a 7" flexidisc record accompanied by a 20 page zine) a quarterly fixture. With no further ado, it gives us great pleasure to introduce issue 2. The new EP from Bournemouth based 5 piece The Death of Pop. Made up of three brothers and two cousins, The Death of Pop produce the sort of well-polished sound you'd expect from a tight knit family unit. We have long admired their jangley shoegaze from afar, but it was only when they sent us a lovely cassette demo did we finally make acquaintance. Opening track 'Whenever' picks up where excellent previous single 'Sun in my Eyes' left off. Dueling guitars, blissful summery melodies and a magic carpet ride of fuzz and distortion. The EP's further four tracks are testament to The Death of Pop's ability to consistently craft jangle pop masterpieces that engulf you in a glowing warmth, which is basically the mark of any good shoegaze band. If it doesn't feel like turning them up really loud would defrost a bag of peas from 50 yards, they're probably not doing it right. 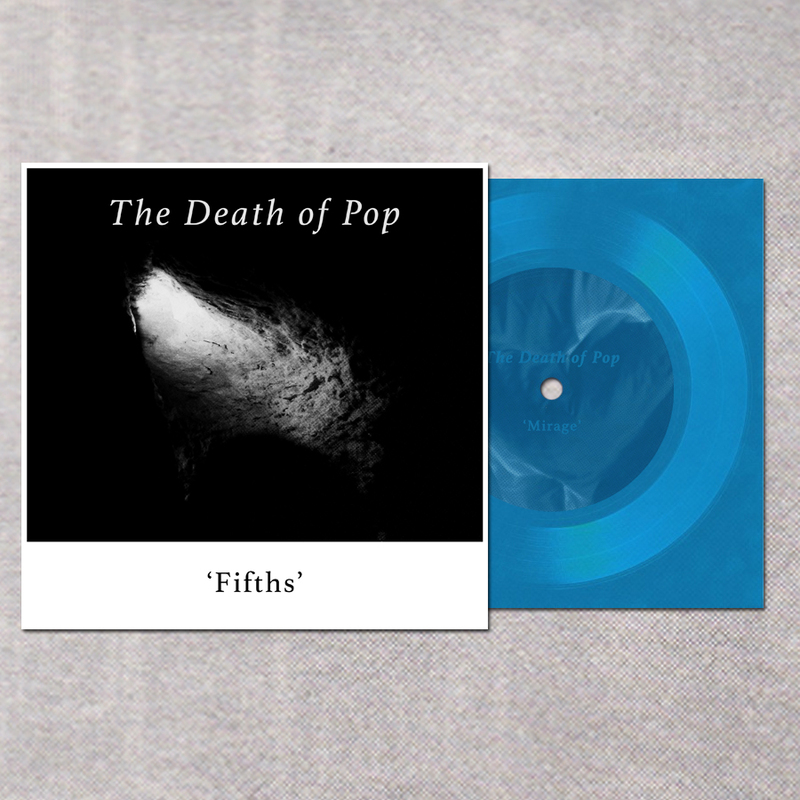 As previously mentioned, the EP is set to be released on a lovely blue transparent 7" flexidisc accompanied by a 20 page magazine. The flexidisc will feature the sub-6-minute drones of track 2 Mirage and a download code for the full EP will be included with the magazine. We have elected to release music in this format as we were getting a bit frustrated with the standard 7" release and realised we could be giving you a bit more for your money.